The Arsenal Island Clubhouse offers a delicious, convenient and quick lunch option for those on and off Arsenal Island. 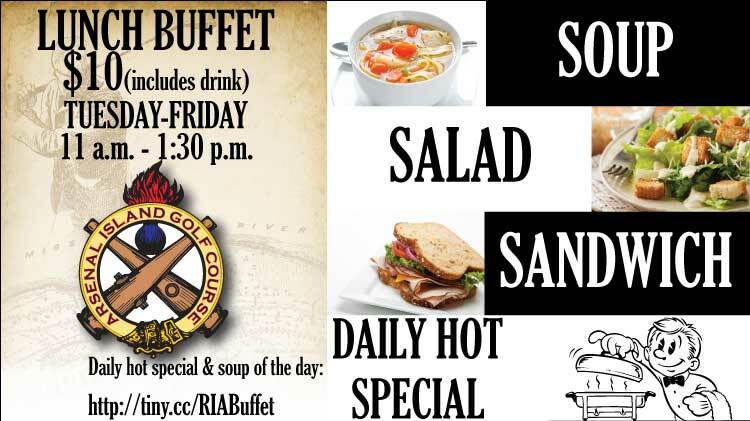 Join us Tuesday through Friday from 11 a.m. to 1:30 p.m. for our soup, salad, sandwich and daily hot special buffet. Cost is just $10 per person and includes a beverage. Come down and enjoy lunch on the Mississippi and experience a slice of history.